Is Lance Lynn As Starter Now A Problem? 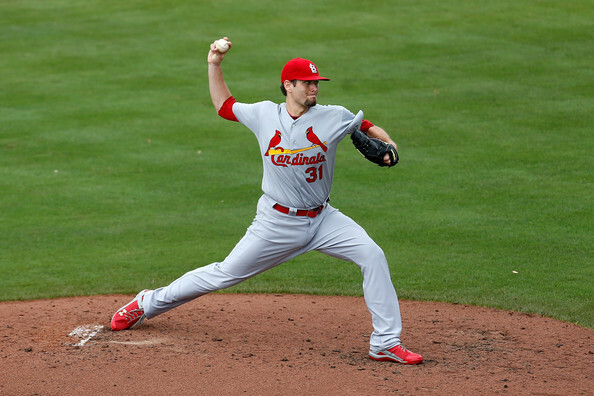 So, what to do about the problem that is Lance Lynn starting? It is a problem, right? He’s now allowed 10 earned runs in 9 1/3 innings over his last two starts, and 17 earned runs in 22 1/3 innings pitched in July. His ERA has risen from 3.52 at the end of June to its current 4.13. After his June 3 start at Busch Stadium against the Arizona Diamondbacks in which he allowed only 1 earned run in 7 innings, his ERA was 2.76. He’s had two more good starts (quality starts, if you want to use that definition) since then — allowing 1 earned run against the Cubs on June 20 and 2 earned runs on July 7 against the Marlins — so all hasn’t been terrible. But he’s also allowed 4, 7, 4, 5, 6 and 4 earned runs in his other starts. Wins are often a questionable measure, since a guy can pitch really well and not “win” the game. Or, conversely, someone like Lance Lynn can allow 7 earned runs on 9 hits in only 5 innings pitching of a 13-7 Cardinals victory against the Marlins and be the winning pitcher. And Wolf Pup has 11 wins, along with 5 losses — though 4 of those losses have come in his last 5 starts. Yet having an almost guaranteed loss every five games in a very tight National League Central race is pretty risky business. Better options are out there (hey, why not give Carlos Martinez a start? Can’t hurt, right? And obviously there’s Tyler Lyons) and give Lynn an opportunity to be a set-up guy again. It worked in 2012 to give him a break, as he came back and was more effective late in the season. Because right now, yes, Lance Lynn as a starter is a problem. This entry was posted in 2013 Season and tagged Lance Lynn, St. Louis Cardinals by Christine Coleman. Bookmark the permalink.